and see our level of quality for yourself. If we can't do it all, we know where to get it done. Conventional Lathes and Mill for small volumes. Finishing Services to provide a layer of protection to your products. 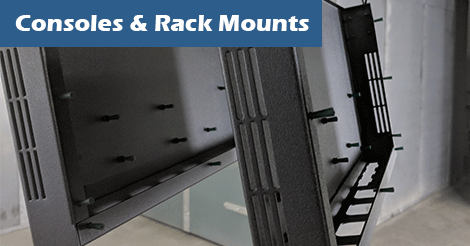 Learn about the Willis Manufacturing Advantage. Now CWB Certified for Aluminum! 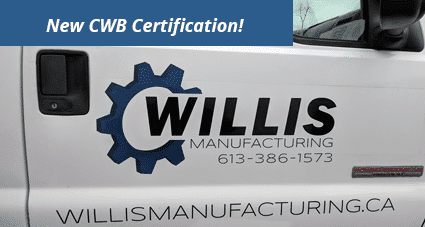 Willis Manufacturing is pleased to announce that it has obtained certification from the Canadian Welding Bureau for CSA Standard W47.2, Certification of Companies for Fusion Welding of Aluminum. Read more about Now CWB Certified for Aluminum! 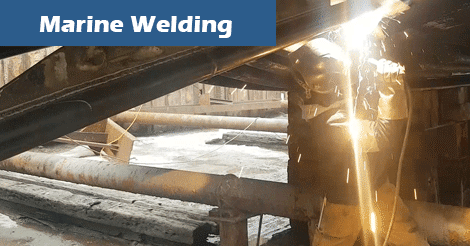 Willis performs welding repairs to dry docked tugboat. We recently made the trip to MetalCraft Marine Incorporated where we performed various repairs Read more about Willis performs welding repairs to dry docked tugboat. Now Offering Commercial Kitchen Products! 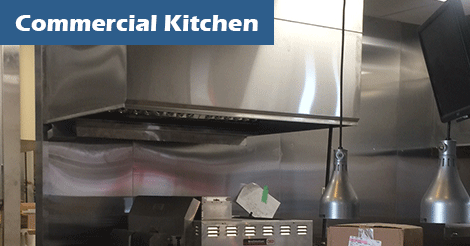 We now offer commercial kitchen products such as custom stainless steel grease hoods, stainless steel counter tops, back splash, and more. 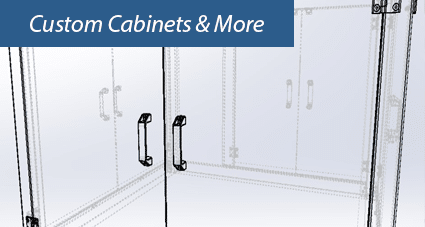 Read more about Now Offering Commercial Kitchen Products! 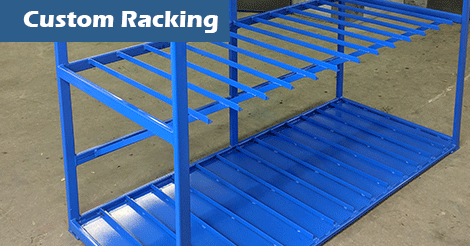 Now that we have our own powder coating setup, we took the opportunity to make up our own racks for sheet metal storage. 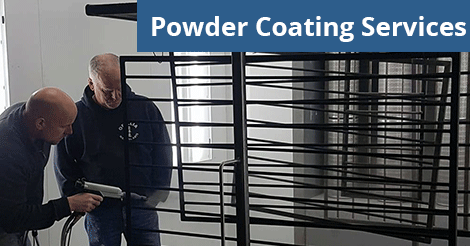 We are incredibly excited to announce the launch of our in house powder coating services. We are now operational and accepting quote requests as of the beginning of December 2017. Read more about Powder Coating Operational! 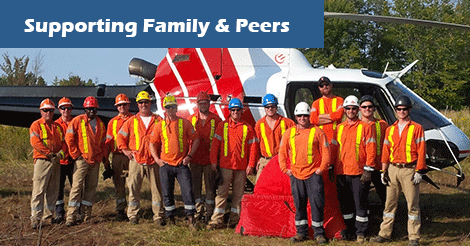 Dowling Metal team joins Willis! Kevin Dowling and several staff have recently joined our team, adding a wealth of experience and connections to our operations. We welcome them to our team, and hope that you will keep in touch with them, here at Willis Manufacturing. 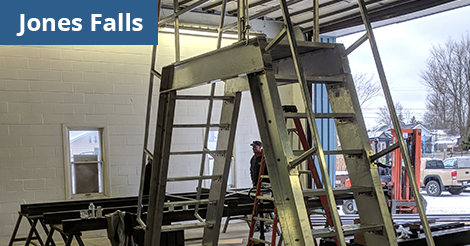 Read more about Dowling Metal team joins Willis!